Do you see all those beanies? I remember the days when I used to see baseball caps as the choice of casual headwear in young and old men alike. However, I’ve noticed over the past few years that beanies seem to be making a comeback with the male population--even during the summer months! I see them more and more on men, and I'm starting to see them more often on women as well. What is a beanie hat? A beanie is called other things, such as a skully, probably because it fits so close to the skull. A Canadian term for a beanie is a tuque.You will also see the term spelled "toque," but the pronunciation is still with the long "u" sound. Traditionally, beanies were knit caps that stuck close to the head to keep in warmth. You see them all the time in the Olympics—on skaters and skiers—but now they are expanding their popularity to be just an accessory for casual dress rather than a cold weather need. Beanies aren’t just a practical head covering anymore. They make their own fashion statement. What statement that is I’m not sure. Is it just fashion recycling itself as it always does? Is it like the leggings and big shirts of the 1980s that are now running amuck again in the 21st century? Whatever the reason for the comeback of the beanies, they are making their way to Hollywood. 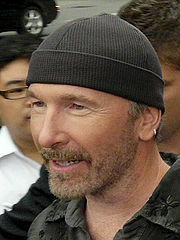 Here’s a photo of U2’s guitarist in a beanie. Does he look cold? No, he’s just fashionably sporting his plain knit beanie. Do you ever see Justin Beiber without a beanie? Brad Pitt and David Beckham wear them. I've seen Ashton Kutcher even wearing a beanie hat with a suit! Beanies aren’t just for cold weather anymore. They are a fashion statement, a style that many folks embrace! And what about the female celebrities? Oh, yeah, they are wearing the beanies, too. 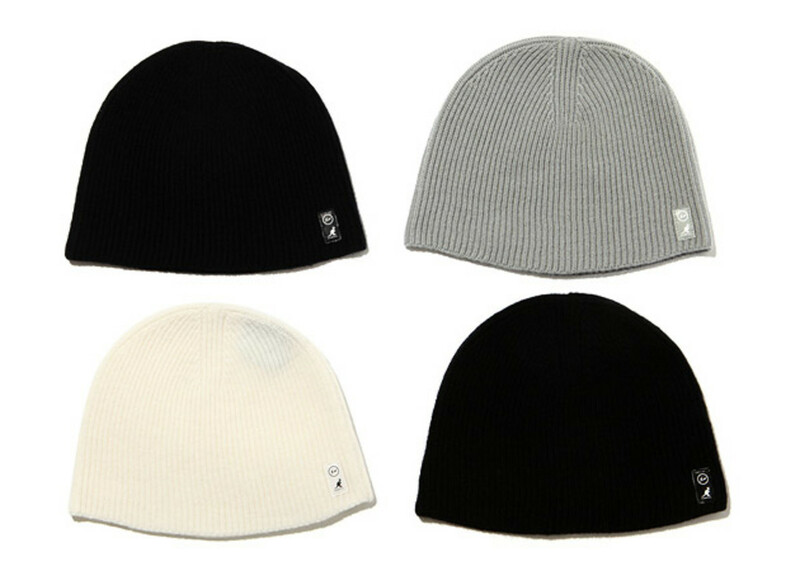 The women’s beanies might be a little fancier, with buttons or studs, or long ties on the sides. Women wear beanies for fashion, but also as a great cover-up for a bad hair day. Check out these photos of female celebrities, including actress Drew Barrymore and model Heidi Klum covering up their hair with beanies. Miley Cyrus also stylishly camouflages what might be greasy locks with a cute beanie. Reese Witherspoon wears one, and singer Pink even wears one on the beach with her bikini. Definitely not a cold weather beanie! Check out all these beanies, including Paris Hilton’s leopard beanie. Oops! Just found some beanies in my closet! 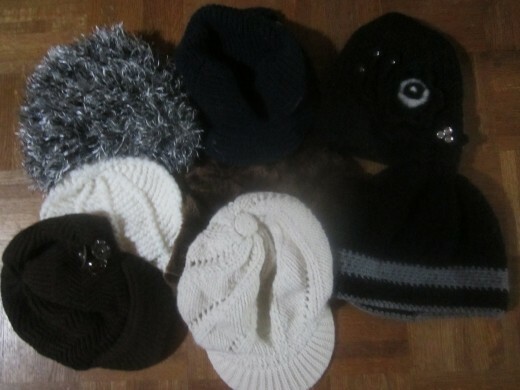 Who knew I had so many beanies? Come to think of it, I have several beanies myself. Although I never thought of myself as joining in the trend, I guess I am to some extent. I just love hats, and if beanie hats are to be part of my growing collection, then I guess I’m in good—at least famous—company. 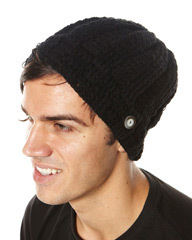 I’m amazed at all the options out there for beanies these days in terms of color and style. 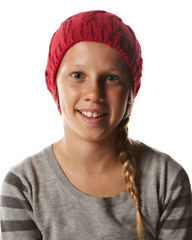 Surfstitch is a store based in Australia, where beanies are big! I was amazed at their online selections of beanies for men, women, and children.Surfstitch has some of the coolest beanies around. Have fun checking out beanies and more! Beanies will help you keep warm in cold weather! There are certain things you can do to dress for extremely cold weather. Wear layers for one thing! Always wear a hat, plus scarf and gloves. Added optional items also help! 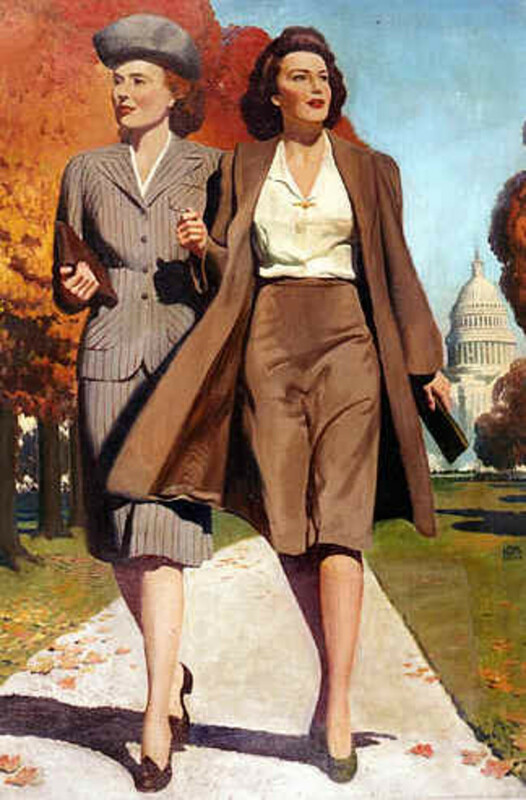 Fashions to Keep You Cool! 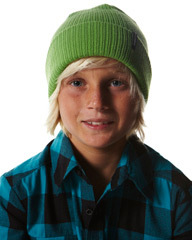 Hi, Alecia--True, beanies can slick down the hair. Even with my long, wavy, hair, can wear them, as my hair pops back up. I just wear hats to and from places to keep out the cold. I don't wear them all the time, even indoors, as a lot of guys seem to do. Thanks for the comments!!! JustCrafty--I linked to your hub about making your own beanies! Very cool! JustCrafty--I'm impressed. That would be fun to make them for myself and as gifts! I never liked beanies- they seemed to target the crown of your head when you pulled them off and unless you have super slick hair they made it stand up. They look good on some but others not so much. But like everything else, I guess it makes a comeback. I love making all types of beanies. Sometims I make them out of wool or acrylic and sometimes add different stitch patterns to make them more unique. Nell--I have lots of hats, too--beanies and other kinds! I love hats in cool weather! I have so many beanie hats I never know which one to wear! lol! I hate those caps the young boys wear, the beanies make the guys look more manly! lol! I hope it helps, JustCrafty. I'll check it out, too. JustCrafty, maybe in time...? I wish you the best. Put your website on you HubPages profile, too. I didn't see it there. Maybe that will help your craft business, too, to connect the two sites. I have tried Etsy with no results and have them on Artfire not many sales though. JustCrafty--That's neat that you make beanies. Have you tried selling them on Etsy? I don't know what site you sell on; is it very well-known? Keep trying. I know that a lot of people really like handmade hats. I think they are adorable. Thanks for reading! I handknit acrylic and wool beanies and am trying to sell them in my online shop, not many sales not sure if the prices are right or no one visits the craft selling website that I have them on. I donate hundreds of handknit beanies every year to various charities and they always ask for them for the next year. I love making crocheted and knit beanies and love to see people wearing them anytime. Yeah, Christy! You don't want to not be in style. LOL. Still have some beanies? It's safe to start wearing them again!!! Ah,Annie, I've got to wear my hats. I hate, hate the cold!!!! See you soon! Vellur, I've discovered I like them, too. thanks! Never worn one, but I like them. Great hub. Thanks, Fennelseed, for the feedback about the hub. Glad you think the layout is good. About the beanies, do your daughters wear them in warm weather, too? That's when I know it's more about fashion than about warmth! :-) Interesting trend. They seem to be EVERYWHERE these days! boundarybathrooms--Definitely trendier than they used to be! I think they're cute, although I do think it odd when people wear them in warm weather! Thanks for reading! We are probably a bit behind the times here in Aussie Land, but beanies have always been in here. Lots of people wear them, including my two daughters. I am not a hat person, but I do wear a beanie if out on a cold dark night!!! I love your collection. Interesting hub in great new layout. I thought they were still in anyway? At least amongst the trendy kids lol. Go, Tim McGraw!!! I wear the more traditional beanies just for working outside in cold weather and the fancier ones (like with a brim) when I go out in public. I just love hats. Beanie bears, though! That adds a whole other element to this discussion!! Thanks, Sunshine! I never knew beanies left. I've been seeing them for years. Tim McGraw wears one in a few of his music videos (yum)! I agree, carter! Great beanies, great discussion! I notice that too. Even as the weather gets hot, I still see quite a few people with them over their heads. I love beanies, so good come back. Martie--I wear hats from fall through spring. Love them! I didn't realize the so many of them were beanies. I do like the white one with the rim, too. You should get one. I bet it would look great with your hair. Was "enticing" a choice? LOL. I love it! Effer, you do awesome! I can't keep up with anybody's hubs. I'm a here and there kind of gal. You are here all the time; I love it and am so impressed. Yes, men wear them in the summertime! with flip-flops.Crazy world of fashion! Yep, your mom would be rich! Now, go take a nap. I may pop out another hub! Lady E. They are pretty cool, I think! :-) Thanks for reading! Vee.....Good grief woman, are you doing a 30/30 or in a contest?? You're whipping out hubs like CRAZY!! I can't keep up! They are now, I see, more of a fashion statement...and I think it's cute as hell. They MUST be a fashion statement, because I see young men wearing them all the time and it happens to be summer (90* today)...with the current jean trend, layered shirts and light weight long scarves loosely hanging around their neck.....and oh, yeah.....flip-flops. Whatever....my mother (rest her soul) could open a corner store today and make a fortune!! Slow down......I need a rest. They have been around for a while. U2 Singer looks cool in his. daskittle--That's cool. I know people who wear them all the time, it seems. Thanks for your input! I have had a beanie with a brim for a number of years now and I still absolutely love it.